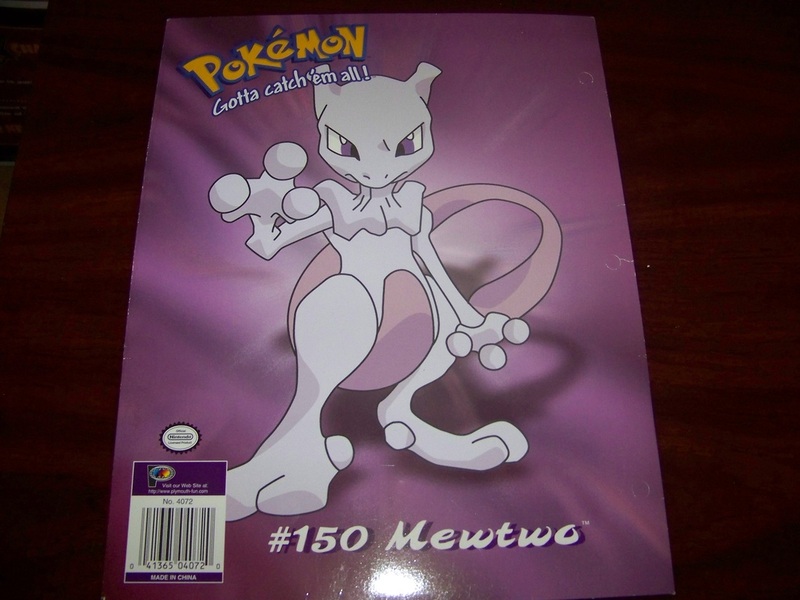 This was one of my more recent additions - it was paired by a Bulbasaur notepad of the same style. 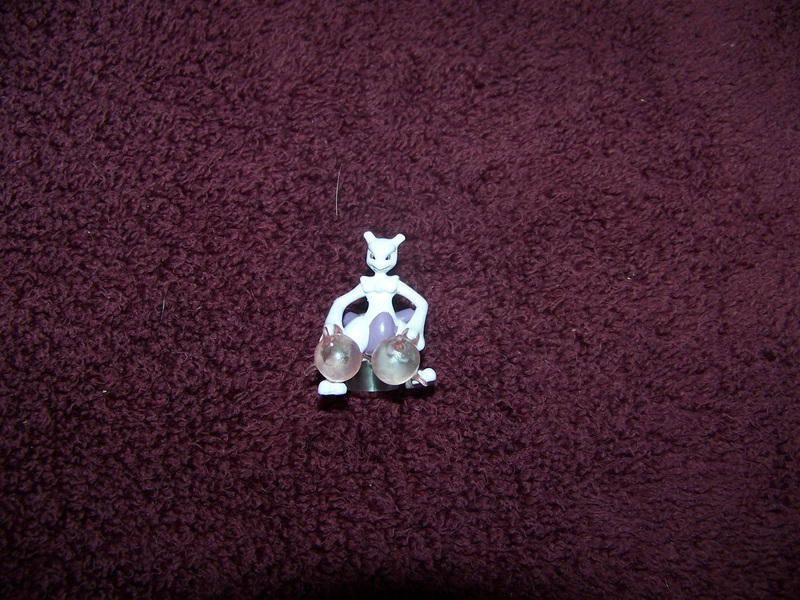 A nice pickup that came from one of the Pokemon Centers - I believe this is the same pose for Mewtwo that's used on the Mewtwo trash can that I'm hunting for. 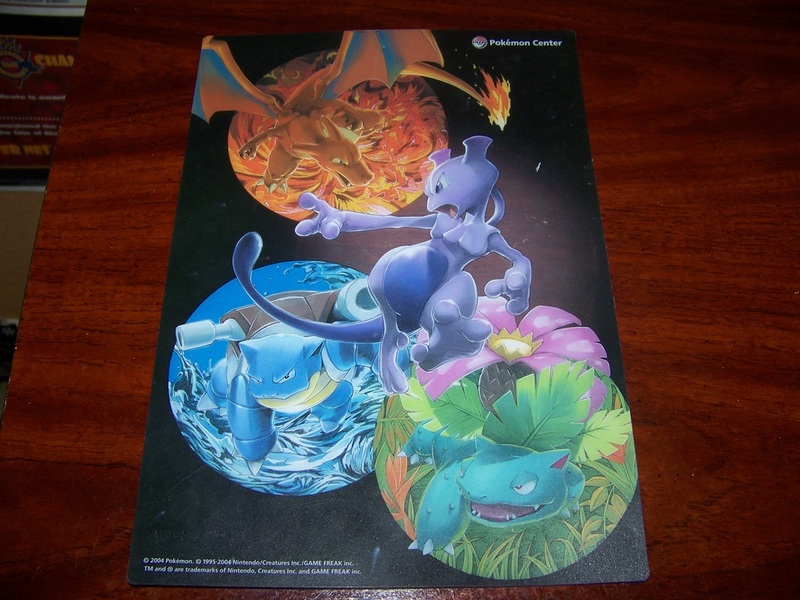 This one's from Banpresto - nice that Mewtwo was fully featured here, though admittedly I like the Mewtwo style on the other pencilboard better. This thing is...huge. 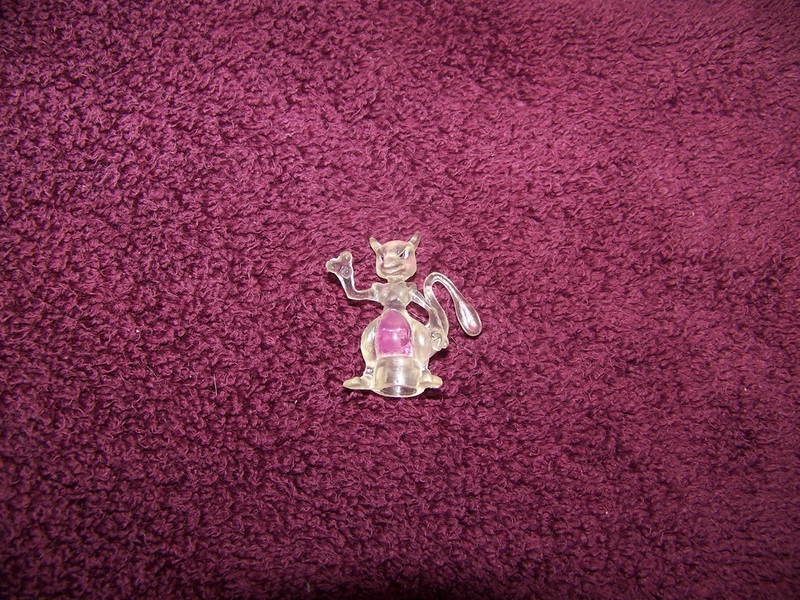 And well-worn from its previous owner, but I'm just glad to have it. 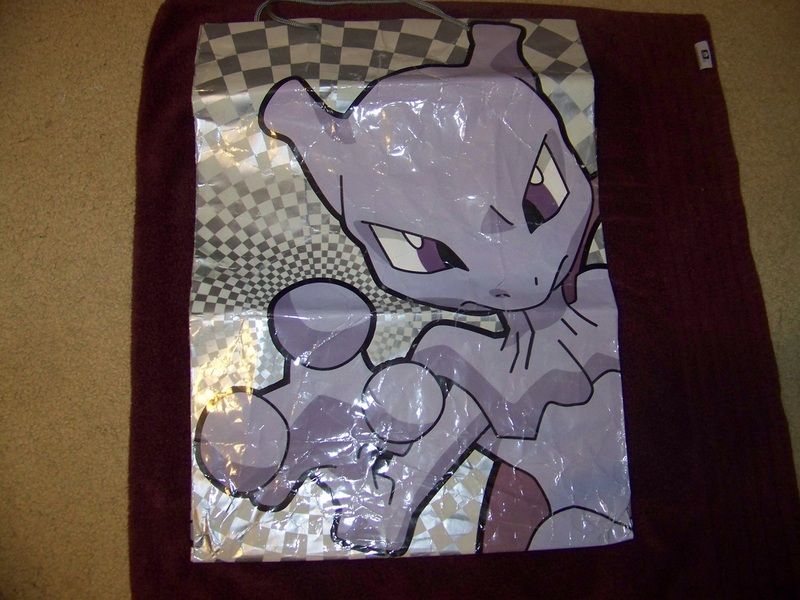 It also reminds me why I don't usually buy stuff from greeting card stores - oversized bags, cards, or anything like that are expensive as hell! 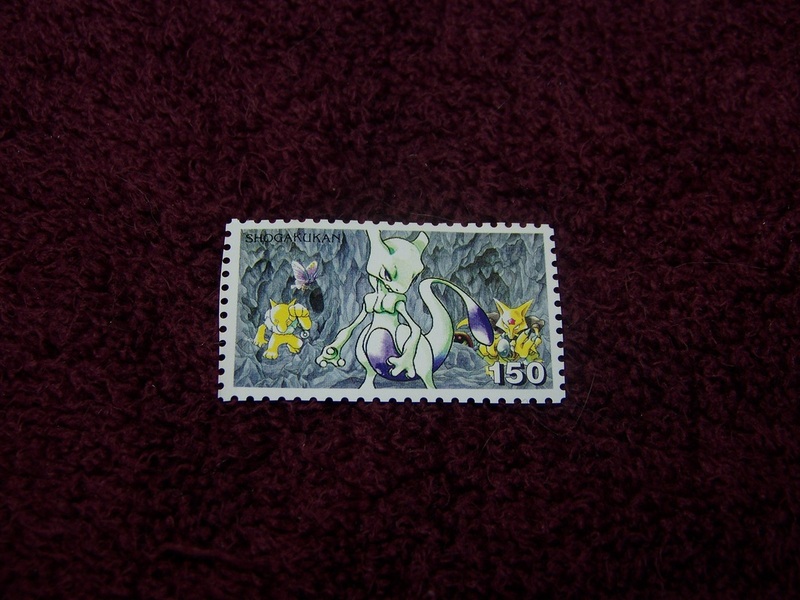 It's both a stamp and a pin, but the Mewtwo part is in stamp style so it went in with the stamps. 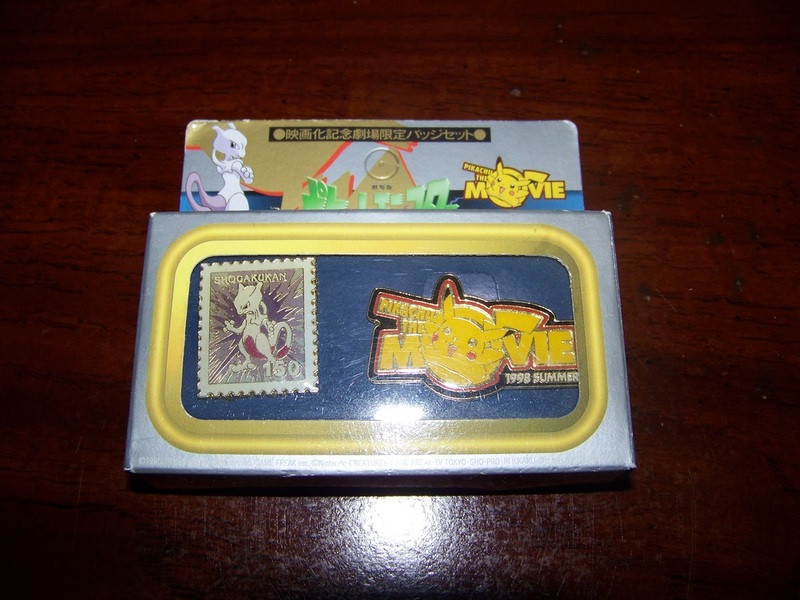 Didn't see any of these for years, but then they started showing up on Y!J and eBay at fair rates. 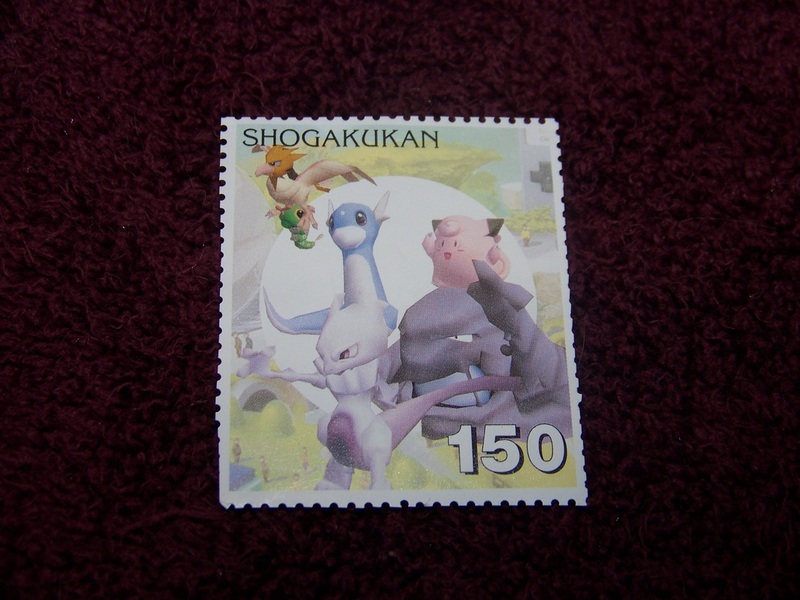 I think I paid 500 yen for this; the eBay ones are being listed at $34.50. 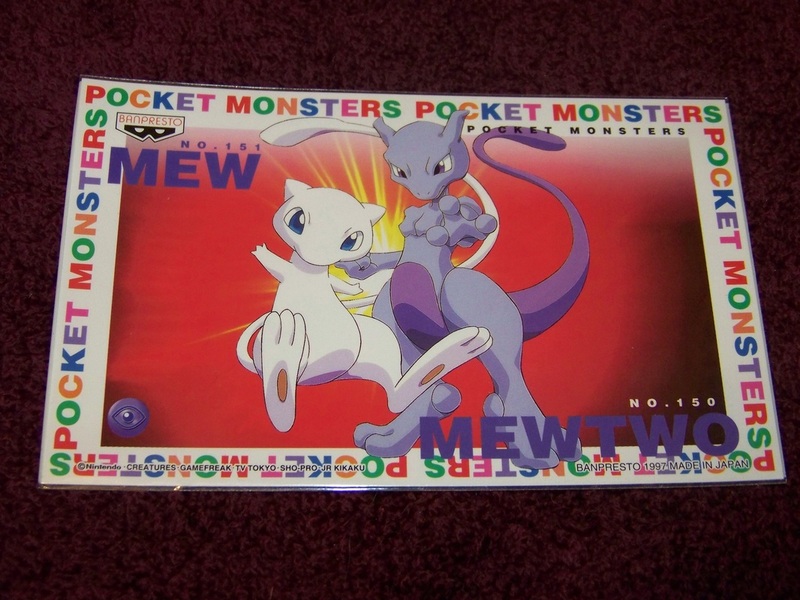 These were wrapped in individual sleeves - I remember paying a premium for this one, and if I had more than a couple of 'em I'd actually use one. 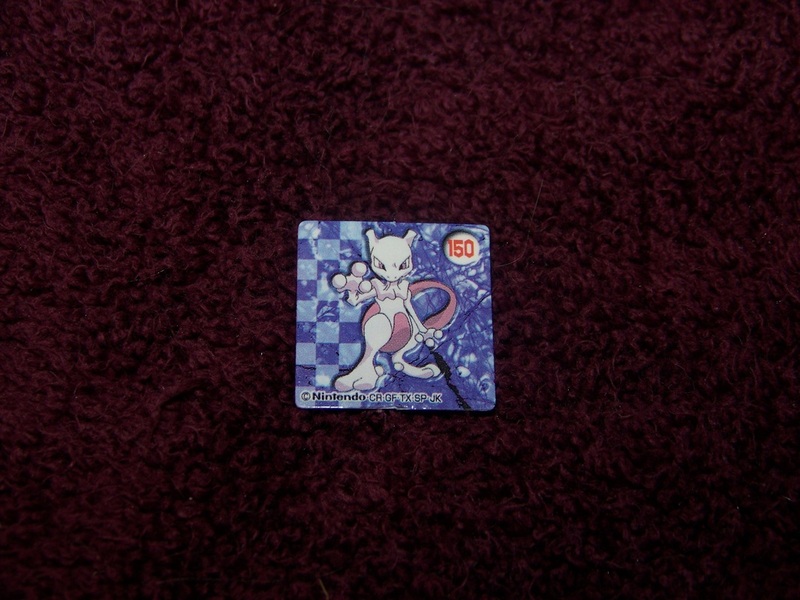 Picked up a couple of these in a multi-pack; it also included a few of Pikachu with a red background. 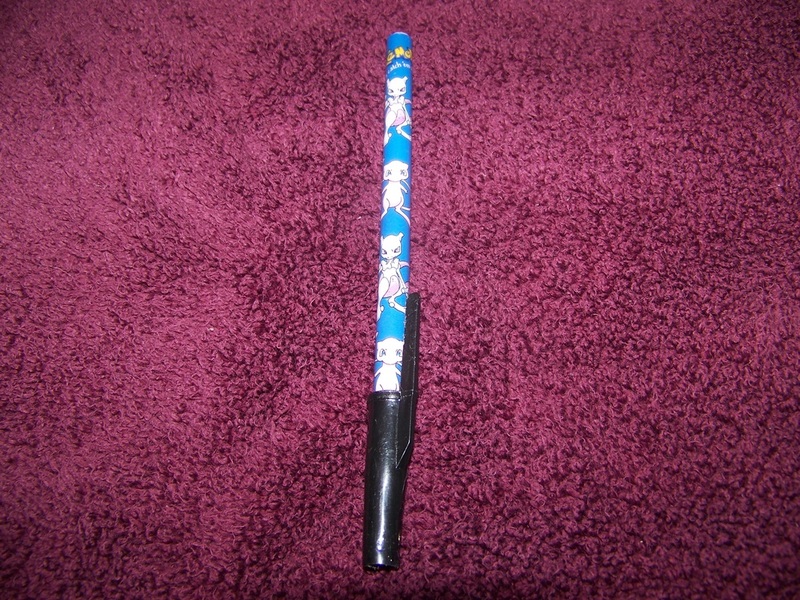 I may not use the other pencil, but I'll damn well use these - I picked up about 30 of 'em in a bulk lot a long time ago. Dirt cheap, too. 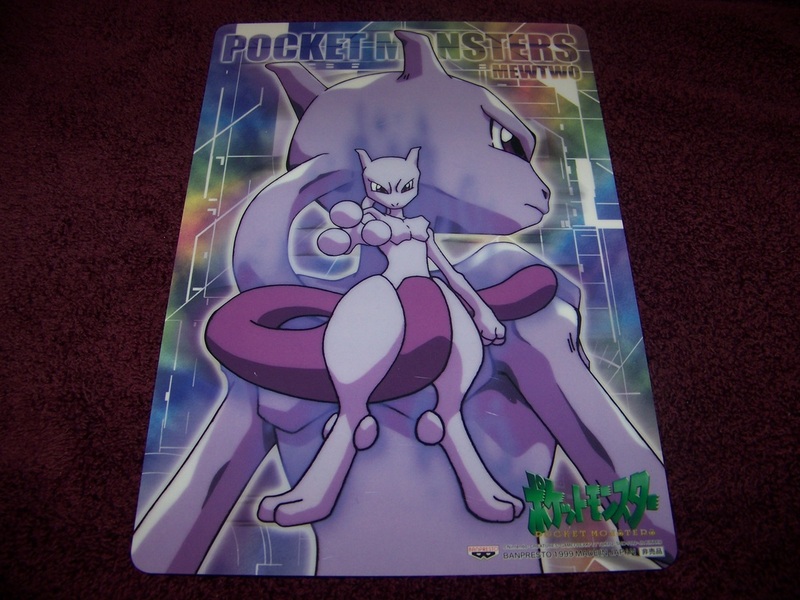 Oddly enough though, I haven't seen any for sale anywhere since. 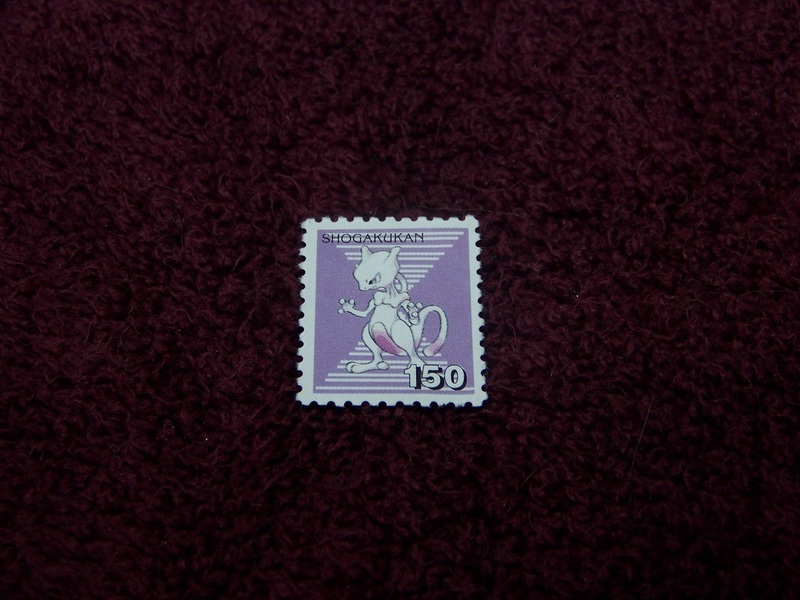 One of many Mewtwo stampers I've picked up over the years - just need to get some ink for him! 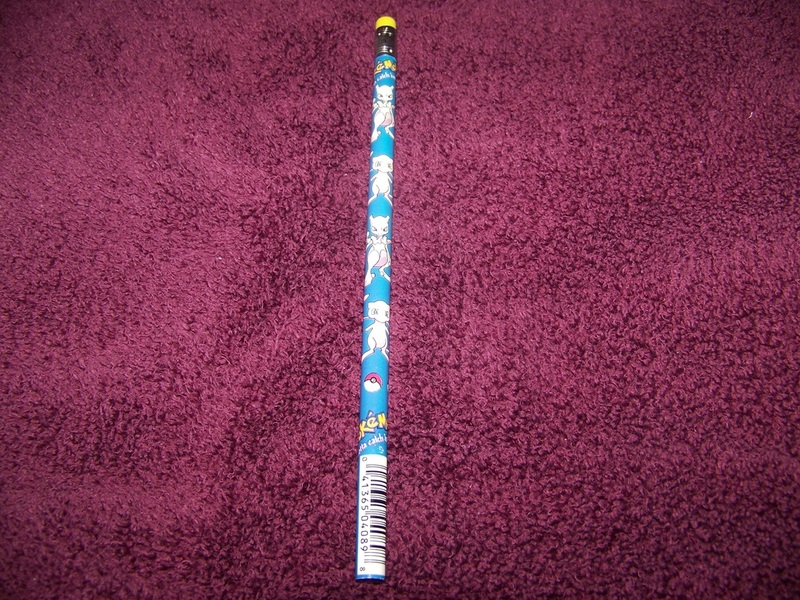 This picture make this thing look a lot bigger than it actually is. 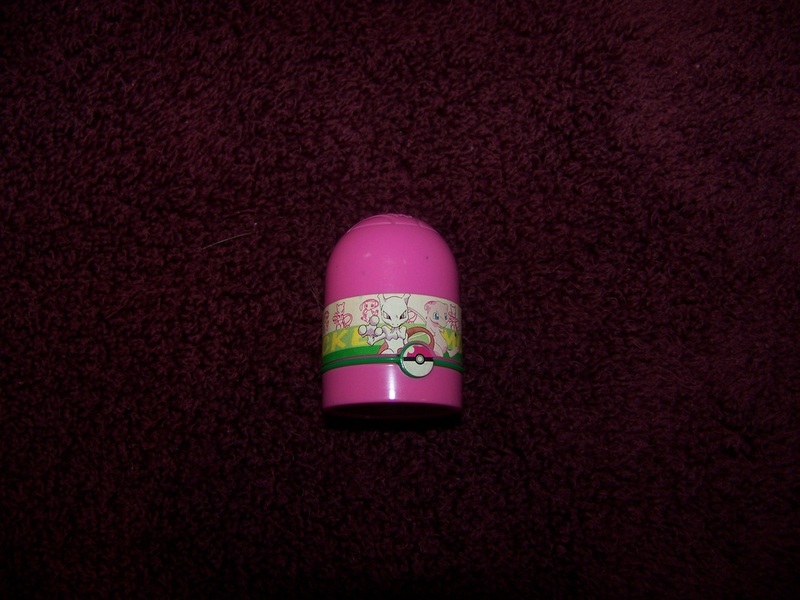 It's probably about the size of one of my fingernails, if that. Picked up around Movie 16 release. 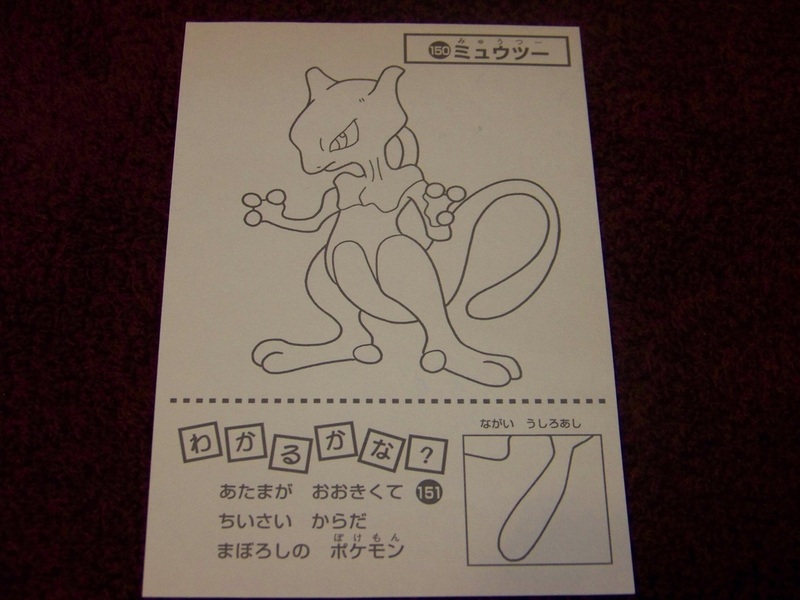 One of many Japanese postcards I've seen over the years. 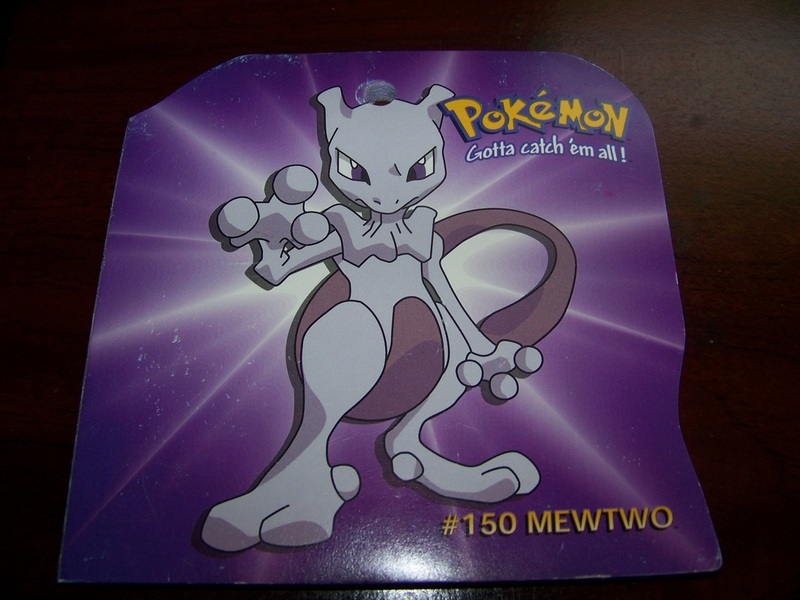 This one's a bit sentimental - if your first experience with the Pokemon series was with the anime, and you watched an episode from the beginning, Mewtwo was the very first Pokemon you ever saw. 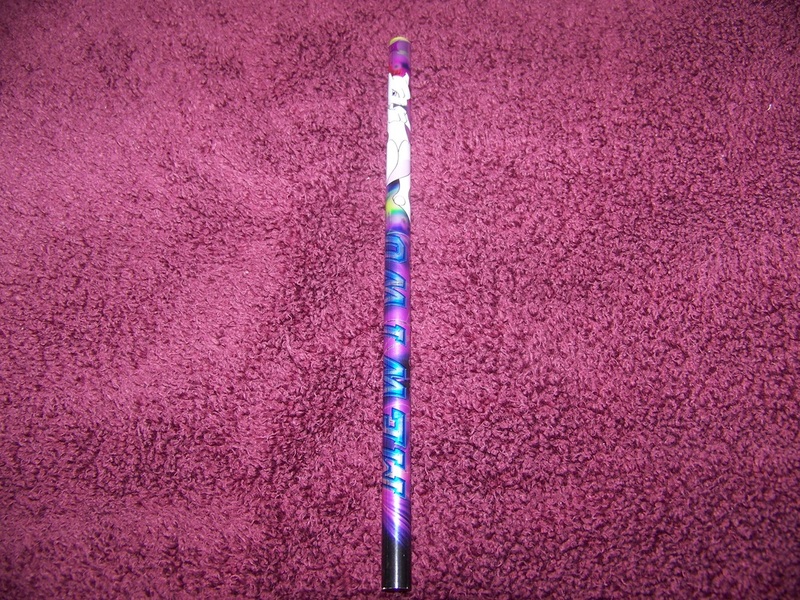 You never forget your first. 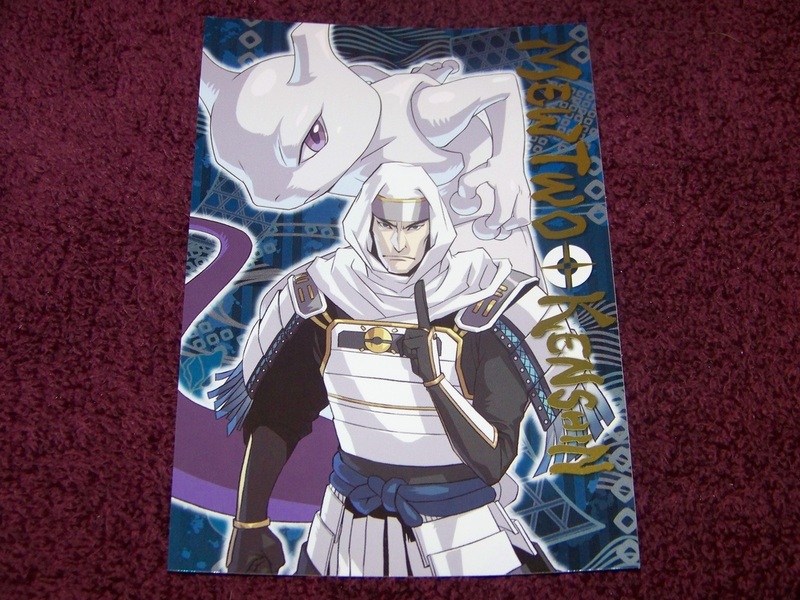 This postcard's much more recent - from the Pokemon Conquest series, Mewtwo partnered with Kenshin, an honorable fighter who seems to be the perfect fit for him. 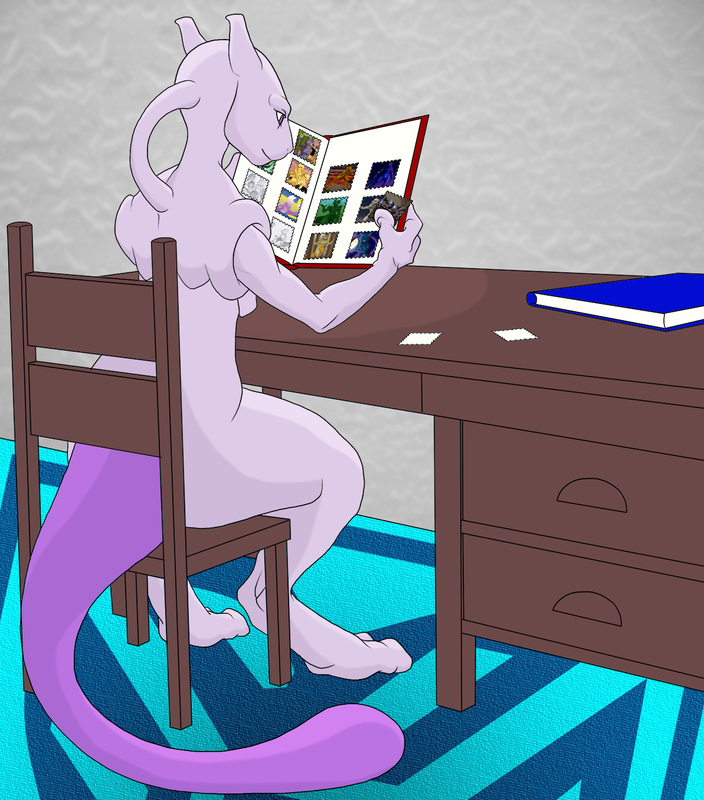 One more oldie but goodie - Not a bad picture of Mewtwo on this either. 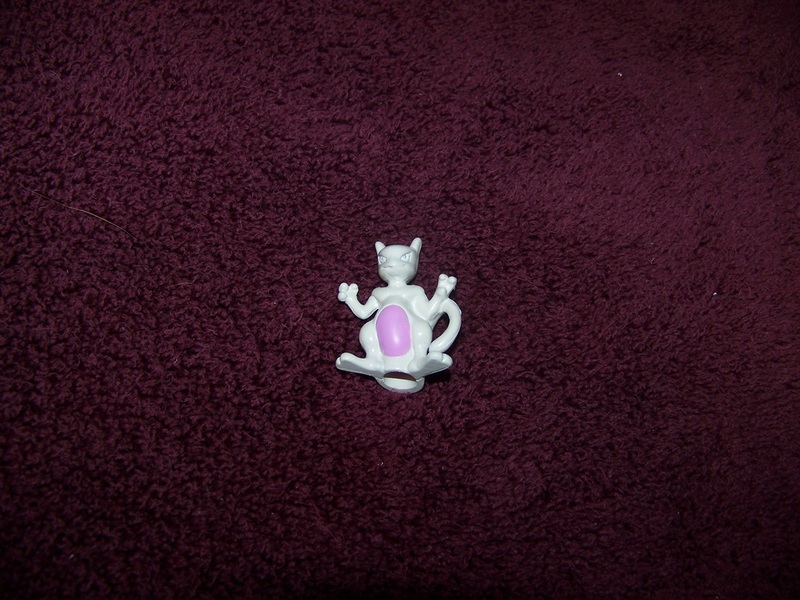 This one must have been way old - it only has a hint of Mew's existence. 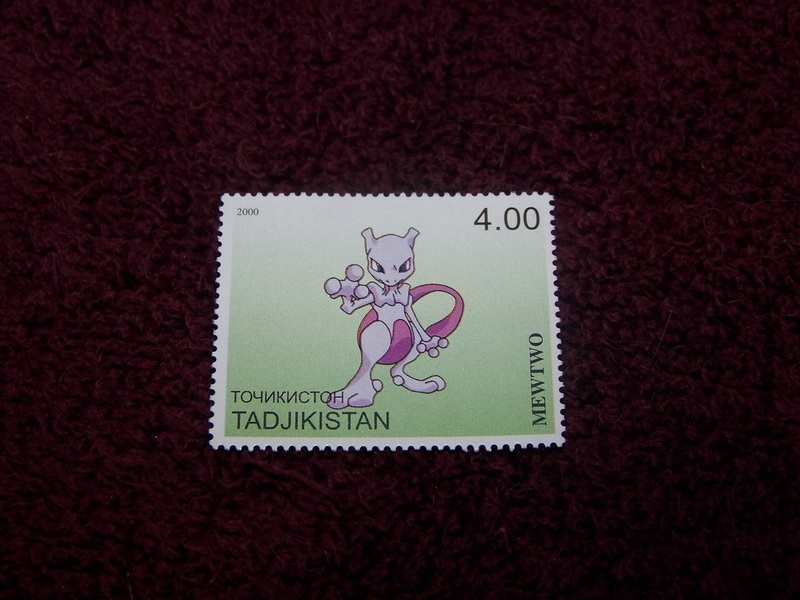 The first of many Mewtwo stamps I've picked up. ...and one more. 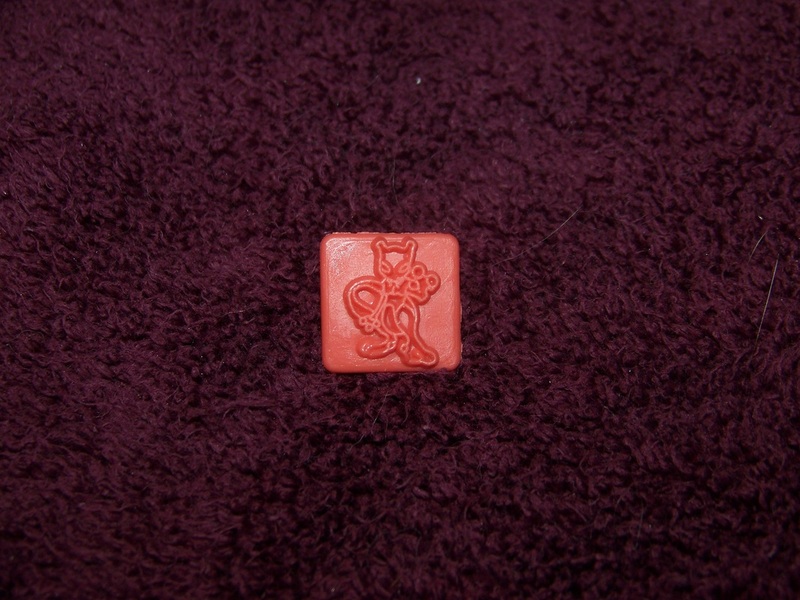 Some, but not all of these came from Cheshire-Kat. 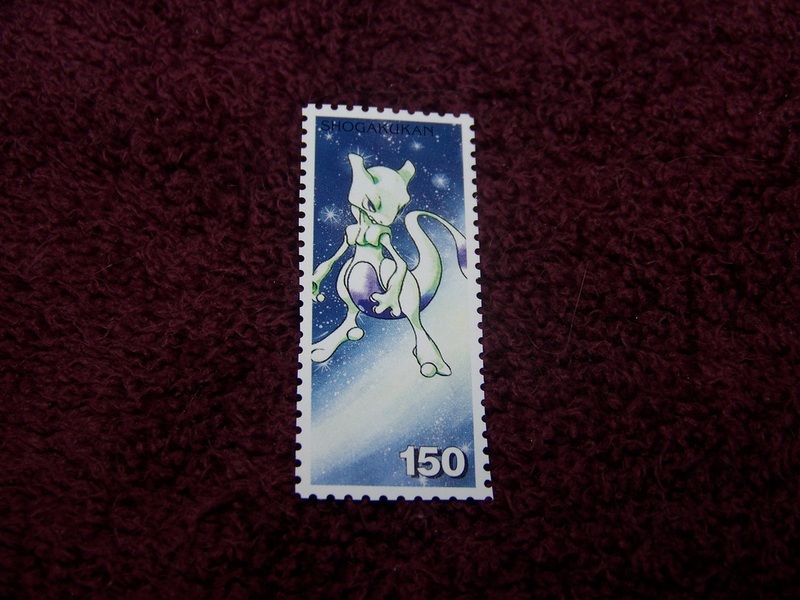 If there were Mewtwo stamps over here at $4+ value, I would have been using them on my shipping for damn near everything! 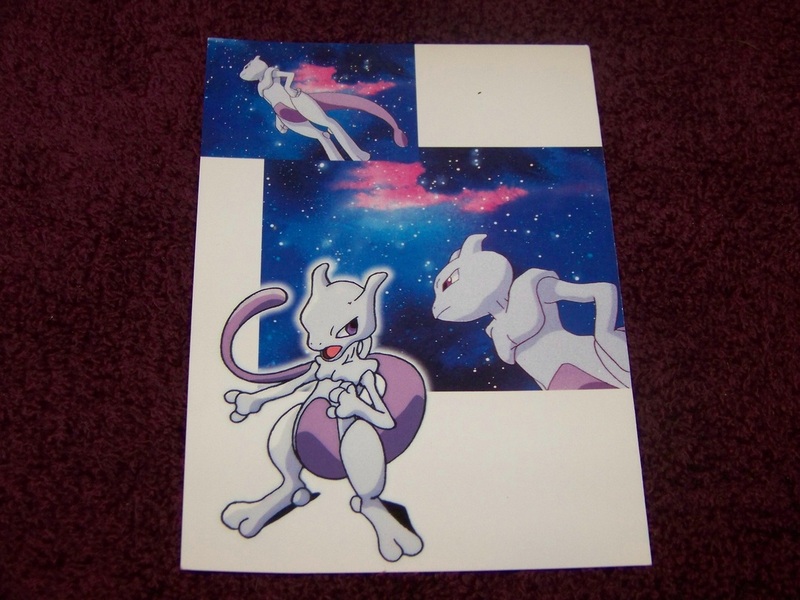 Same image, I believe, two different toppers. 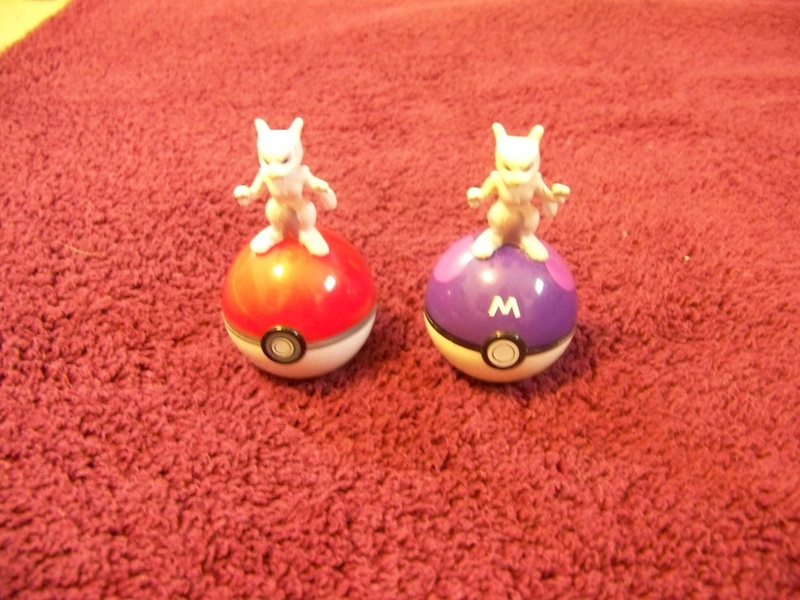 Maybe there's a Great and Ultra Ball in the same series? 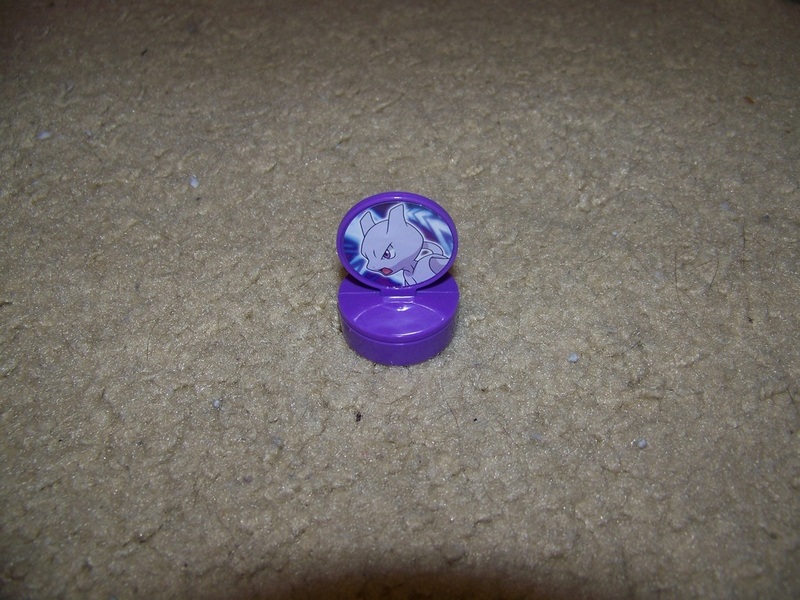 ...especially when I had to use another toy to prop this up to get a good picture of it on its side. 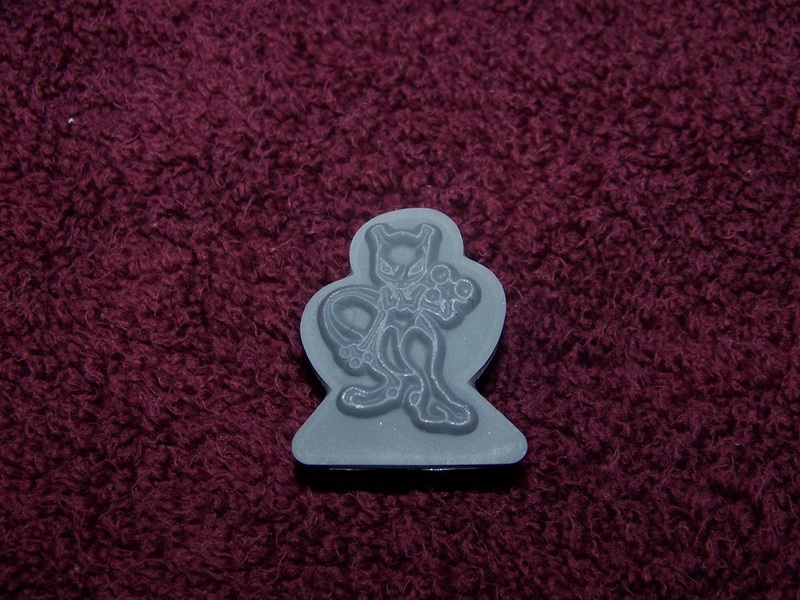 This is, I believe, the most recent pencil topper/toy to come out.